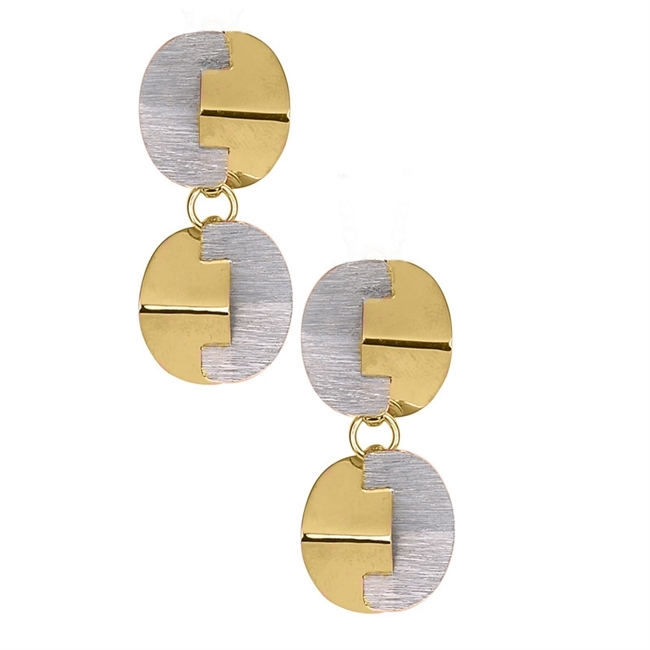 Double Drop Puzzle Earrings with depth & dimension. The geometric pieces fit together like a puzzle and are done in a Brushed Silver & Yellow Gold Plated. Made in 925 Sterling Silver by Frederic Duclos. Posts, hinged drop. Length 1 1/4" X Width 1/2". Matching Necklace available.